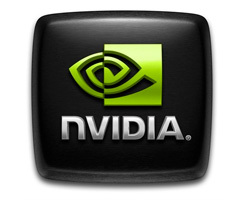 Download the new GeForce Forceware 178.24 WHQL XP 64-bit driver. NVIDIA just released an updated ForceWare driver. It's build 178.24 and carries WHQL certification, meaning it received two thumbs up from microsoft. Adds support for newly-released GeForce 9-series motherboard GPUs. Includes several application compatibility fixes. Please read the release documentation for more details. WHQL-certified driver for GeForce 6-series, 7-series, 8-series, 9-series, and 200-series GPUs. Adds support for GeForce 9800 GTX+, 9800 GT, 9500 GT, and 9400 GT GPUs. Adds support for NVIDIA PhysX acceleration on all GeForce 8-series, 9-series and 200-series GPUs with a minimum of 256MB dedicated graphics memory (this driver package installs NVIDIA PhysX System Software v8.09.04). Adds support for 2-way and 3-way NVIDIA SLI technology with GeForce GTX 200-series GPUs on Intel® D5400XS motherboards. Supports single GPU and NVIDIA SLI technology on DirectX 9, DirectX 10, and OpenGL, including 3-way and Quad SLI technology. Supports NVIDIA GeForce 3D Stereo Technology. All modern GeForce graphics cards to date are supported. We have a thread open on these drivers right here. These drivers do include the PhysX 8.09.04 driver, too.